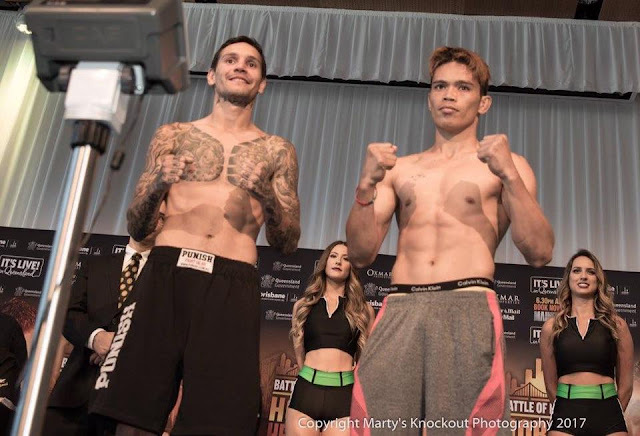 Filipino Vergil Puton traveled to Australia to face the undefeated prospect from Australia Paul Fleming. Filipino Vergil Puton has a record of 17 wins with 8 victories by way of KO and has 8 defeats. He is not new to fight outside the Philippines. This will be his second trip to Australia. His first attempt was against Ibrahim Balla but he was defeated via unanimous decision. On his last fight, he won the (PBF) Super Featherweight Title against Edward Mansito via unanimous decision. On the other hand, Paul Fleming is a hard-hitting boxer from Australia and as a record of 24W(16KO)-0L. Puton will face Paul Fleming in the undercard of WBO World Welterweight Title fight between Jeff Horn and Gary Corcoran.